Product prices and availability are accurate as of 2019-04-25 05:36:36 EDT and are subject to change. Any price and availability information displayed on http://www.amazon.com/ at the time of purchase will apply to the purchase of this product. 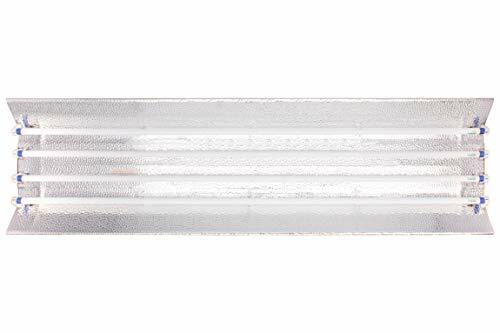 This listing is for a brand new, never-before-opened 4 ft 4-lamp fluorescent grow light. Plug in and go with this beautiful light. 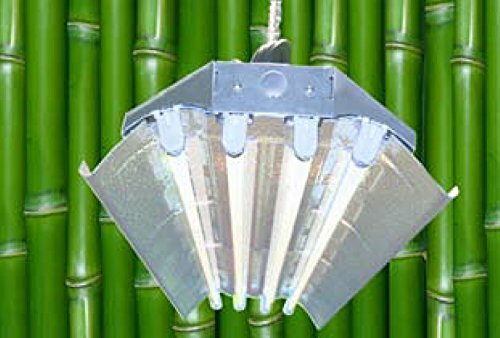 Perfect for indoor gardens, greenhouses, almost anywhere. If you buy multiple, you will be able to connect them together with daisy chaining. For max yield, make sure to place fixture 3-4 inches above the plants. 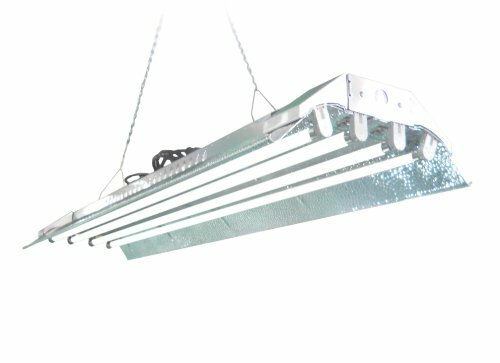 Fluorescent fixtures do not get hot enough to damage the plant with heat. Included in Package: 4ft 4-lamp T5 light-weight grow fixture, Qty4 F54T5HO 6,500 kelvin blue-white veg lamps, 8-foot power cable - also useful for daisy chaining. 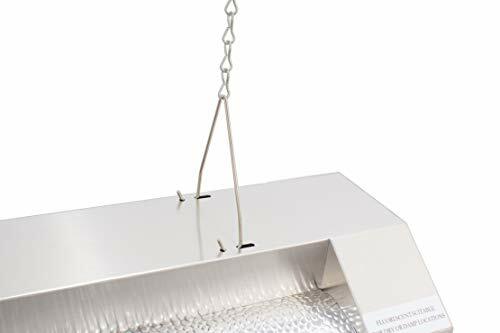 Included mounting chain and hooks, UL-approved ballast already installed in the fixture. 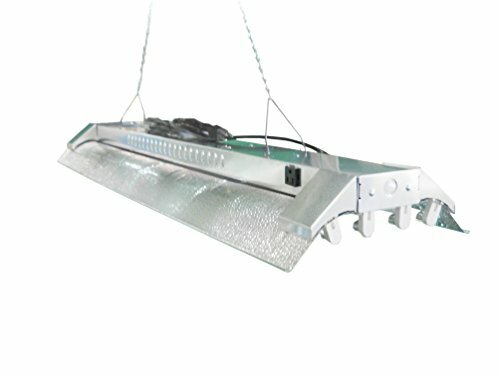 120V Input, 230W Input, L47.5"x W12.5" x H4". Each switch turns each two bulbs on/off independently. 30% less weight than any another brand products enables EZ installation. Not compatible with GFI outlets. Works with timers. The fixture is UL/CUL listed. 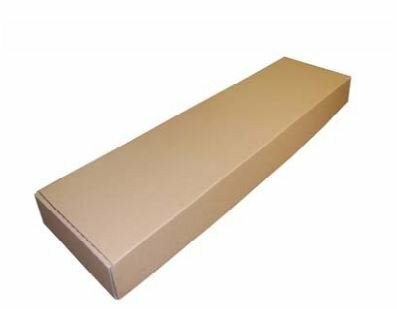 Discrete Shipping in Brown Box.